Apple is planning on offering video content subscriptions directly through its TV app, according to a new report. The change would simplify the content subscription process in the Apple ecosystem. Consumers will be able to purchase subscriptions from certain content providers directly on Apple’s platform, rather than through the provider’s platform, sources familiar with the matter told Bloomberg. 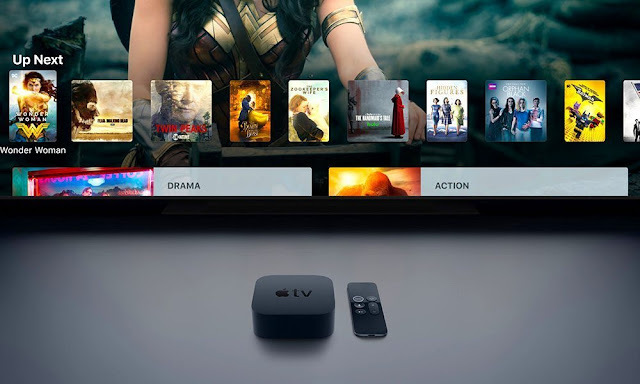 Currently, Apple’s TV app serves as a centralized place for users to view various channels and other content from other platforms — without having to switch between multiple apps. But to actually purchase those channels and subscriptions, users are sent to a third-party site or app. Bloomberg likens the strategy to Amazon’s, which lets users buy paid monthly subscriptions to content directly through its Prime Video Channels service. The publication also notes that Apple could also eventually switch the actual streaming-of-content to the TV app in the future. Currently, the app works as more of a directory than a content-viewing service. While Apple has become one of the largest sellers of TV shows and movies via iTunes, it has yet to break into the on-demand content market — which has been dominated by Netflix, YouTube and other companies. The subscription change could also further bolster Apple’s Services business, which is quickly becoming a massive vector of growth for the company. In Q2 2018, Apple drew in a record $9.2 billion from Services, resulting in a 31 percent increase in revenue. When a user purchases a third-party subscription through an Apple channel, like the App Store, Apple takes a percentage. But the way the TV app works now, Apple isn’t making any money off of subscriptions to Hulu, HBO Now, or other on-demand channels. But a key aspect of Apple’s TV strategy, which is missing from the Bloomberg report, may also echo Amazon and other competitors. Apple has been working tirelessly to put together its own exclusive first-party TV content. The company maintains an office in Hollywood and has wooed some high-profile names in the industry. A previous report hinted that Apple had been “inundated” with spec scripts. The Cupertino tech giant has won the rights to a handful of shows, including a TV drama created by La La Land’s Damien Chazelle and a comedy series starring Kristen Wiig. The roster also includes various other dramas, comedies, thrillers, anthology shows, musicals, and documentaries. It’s not currently clear how Apple plans to distribute this first-party content, though the TV app may play a part. Take Amazon, for example. While it offers content from other providers, its Prime Video platform also features a number of Amazon exclusive programs. With the TV app becoming a central place to buy, sort through and view content, it would make sense for Apple to throw its own exclusive TV programs into the mix.